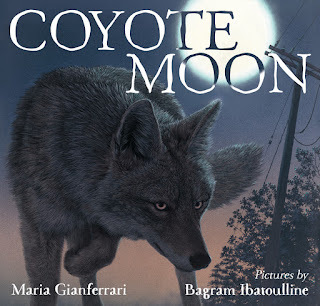 This week we are pleased to participate in a blog tour for the new picture book, COYOTE MOON, by Maria Gianferrari, illustrated by Bagram Ibatouilline. We have the pleasure of interviewing Bagram Ibatouilline. Don't forget to enter the giveaway for a copy of COYOTE MOON! Please tell us about you background and how you came to illustrate for children. Since I was about 3 years old I’ve been sculpting with modeling clay. I’m really grateful to my non artistic parents for recognizing and supporting my art aspirations at an early age. I started my art study at the age of 10, Children’s Art School, Art College and then Art University. This education gave me a wide range of art knowledge and skills. I worked in different fields, fine art, murals, textile design and in the year 1999, I entered the world of children’s books illustrations. 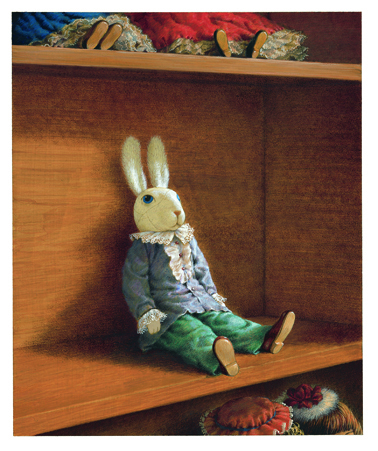 You have had a long and illustrious career (including illustrating Kate DiCamillo's THE MIRACULOUS JOURNEY OF EDWARD TULANE). What were the one or two things you did that helped you break into children's illustration? My friend artist/illustrator Vladimir Radunsky asked me if we could collaborate on one of his books, AN EDWARD LEAR ALPHABET (1999). It was my first experience as an illustrator and I felt like this was what I really would like to continue doing. I was introduced to publisher and got my first project CROSSING (2001) by Philip Booth. COYOTE MOON is beautiful and evocative. How much research did you do for these illustrations? I did some research, but also I live in an area with coyotes howling at night and I have encountered coyotes several times, so I had plenty inspirations from my own experiences. I found some close up photos of coyotes online and used it for details and I made a rough coyote model out of modeling clay to draw it at different angles. Information in Maria Gianferrari’s COYOTE NOTES also helped to know more about their behavior. Right now I’m working on HAWK OF THE CASTLE by Danna Smith, a medieval time setting about a falconer's daughter and her journey out into the fields with her father and their hawk. Every illustrating project is different and inspiration usually depends on the text, there is always something that interests or touches me. What is your typical illustration process? What media do you use? How do you decide how to approach a book (what style, etc)? I read the text several times and while reading, images start to appear in my head, general approach and the style of illustrations begin defining, and that is when I begin sketching. Once the sketches are approved, I start painting. I use acryl-gouache, I really like this media, it allows for a variety of options and numerous artistic approaches. I would suggest reading the text which will be illustrated several times and try to sketch something that comes to your imagination every time. Challenge yourself with different media and try different approaches. The re can we find you online? Be sure to visit the next stop on the blog tour for COYOTE MOON, on Monday, July 25, at The Reading Zone! Bagram Ibatouilline was born in Siberian city Omsk, Russia. His father was a scientist and his mother was a sport teacher. When he was fifteen his family decided to move to Kazan, a city on Volga river. After graduating Art college in Kazan, he went to Moscow to study in Art Institute. Since 1991, he has lived in the United States and now lives in the Catskills Region, New York. Beautiful! 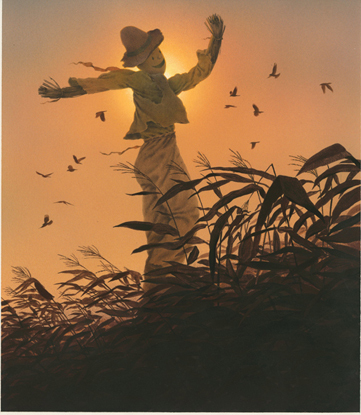 I love when fine art and children's books come together. My 9 year old daughter and I read EDWARD TULANE together and we loved the richness of the illustrations and how much they added to the story. Thanks for the lovely interview! I can only imagine that Bagram must cook as beautifully as he illustrates, given his wise words here about inspiration, imagination, and a variety of materials. Breathtaking work! I can't agree more, Cathy!! Wow! These illustrations are gorgeous! I love his art in every book he has done. 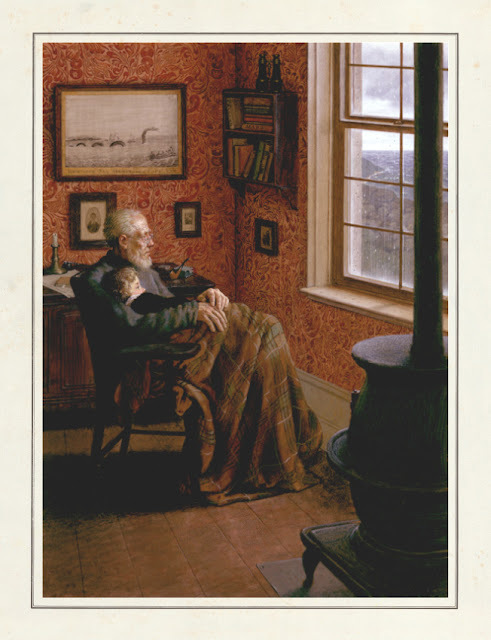 The Giver, The Matchbook Diary, Crow Call etc. So happy I didn't miss this interview! These illustrations are absolutely breathtaking. I am so looking forward to reading and seeing Coyote Moon! 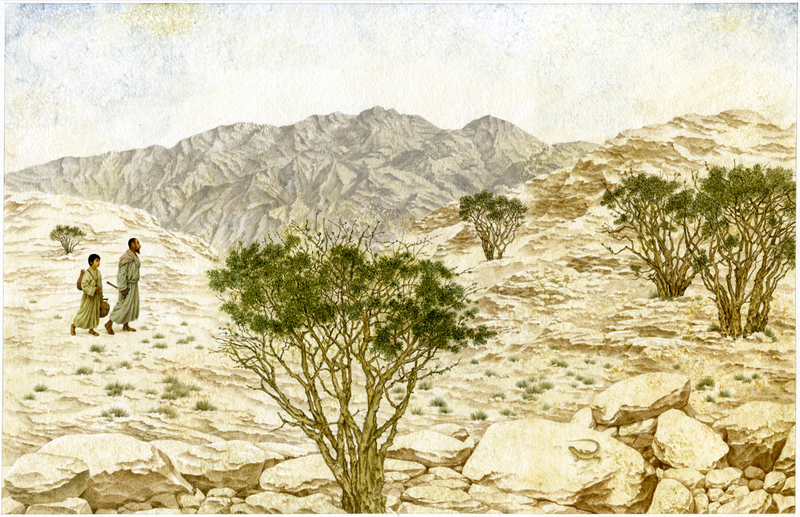 Bagram, your illustrations are both delightful and awe inspiring. Love your work. Thanks so much for featuring Coyote Moon, Sylvia & Elaine!! I am truly lucky to have Bagram as its illustrator!! Beautiful atmosphere in these images. Congratulations, Bagram! Stunning work. Can't wait to see the actual book. Such beautiful illustration work! Wishing Bagram continued success! 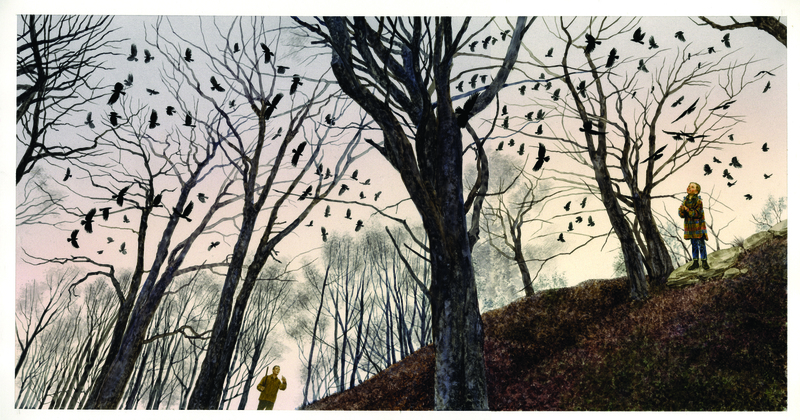 Coyote Moon is just beautiful - the words & the art. I particularly admire Bagram's use of light and shadow.